IF result (enrichment to the base (arrowhead) and tip (asterix) of cilia) of anti-IFT140 (17460-1-AP, 1:50) with serum-starved hTERT-RPE1 (PFA fixed) by Dr. Moshe Kim. 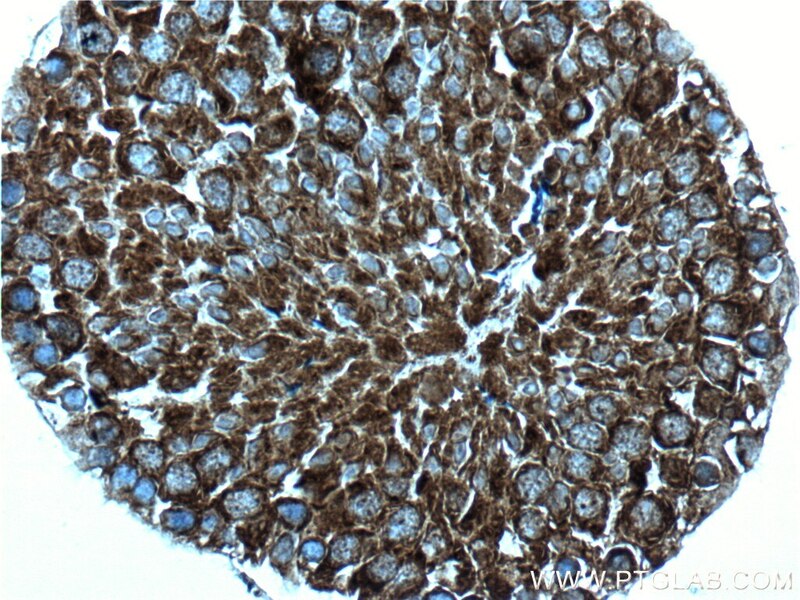 Immunohistochemical analysis of paraffin-embedded mouse testis tissue slide using 17460-1-AP( IFT140 antibody) at dilution of 1:200 (under 10x lens) heat mediated antigen retrieved with Tris-EDTA buffer(pH9). 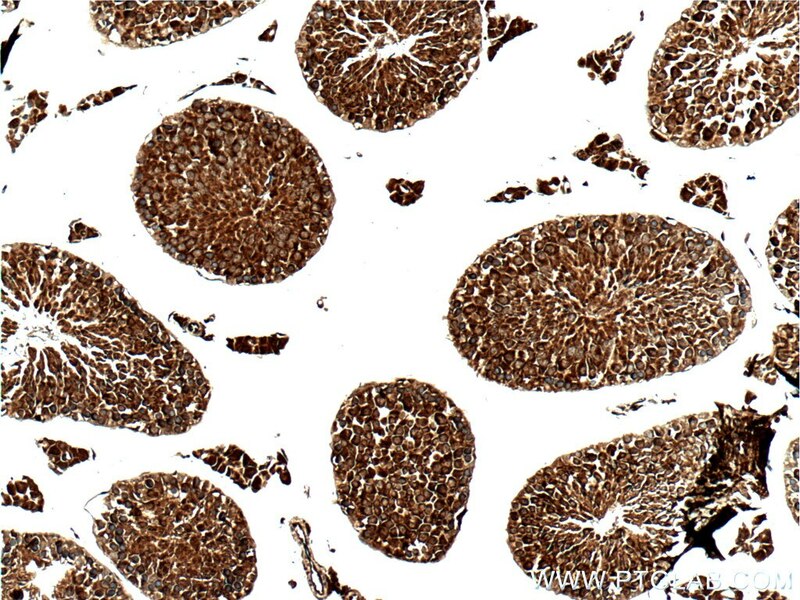 Immunohistochemical analysis of paraffin-embedded mouse testis tissue slide using 17460-1-AP( IFT140 antibody) at dilution of 1:200 (under 40x lens) heat mediated antigen retrieved with Tris-EDTA buffer(pH9). 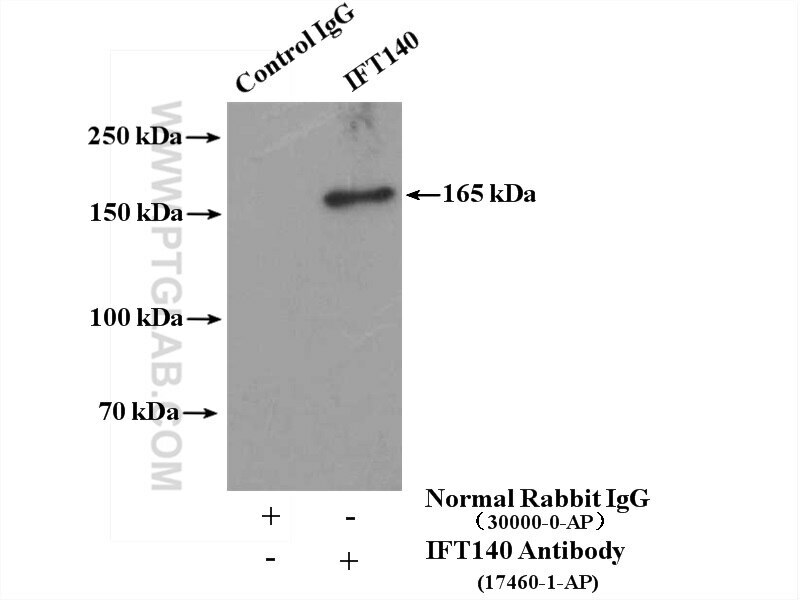 IP Result of anti-IFT140 (IP:17460-1-AP, 4ug; Detection:17460-1-AP 1:300) with rat testis tissue lysate 4400ug. Essential Role of IFT140 in Promoting Dentinogenesis. Inhibition of Hedgehog signaling suppresses proliferation and microcyst formation of human Autosomal Dominant Polycystic Kidney Disease cells. Robust interaction of IFT70 with IFT52-IFT88 in the IFT-B complex is required for ciliogenesis. Patient-iPSC-Derived Kidney Organoids Show Functional Validation of a Ciliopathic Renal Phenotype and Reveal Underlying Pathogenetic Mechanisms. 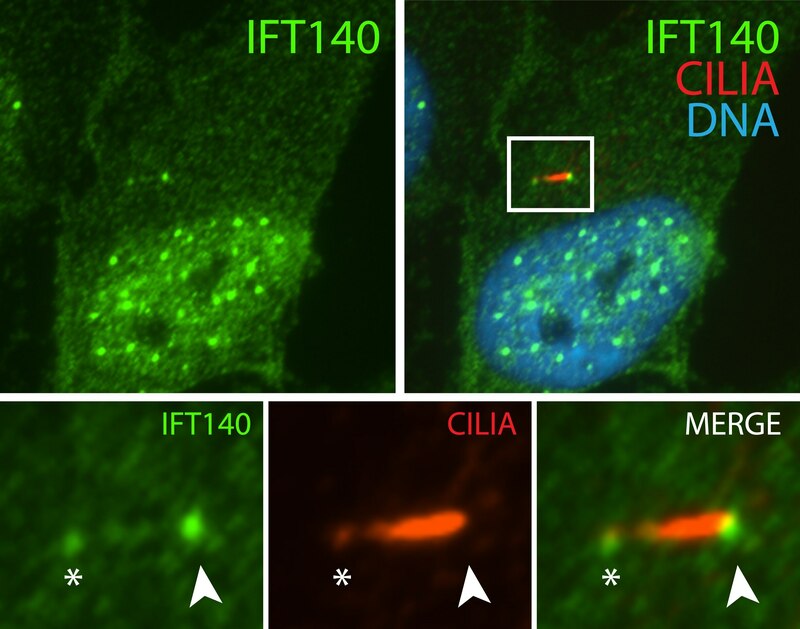 Interaction of heterotrimeric kinesin-II with IFT-B-connecting tetramer is crucial for ciliogenesis. 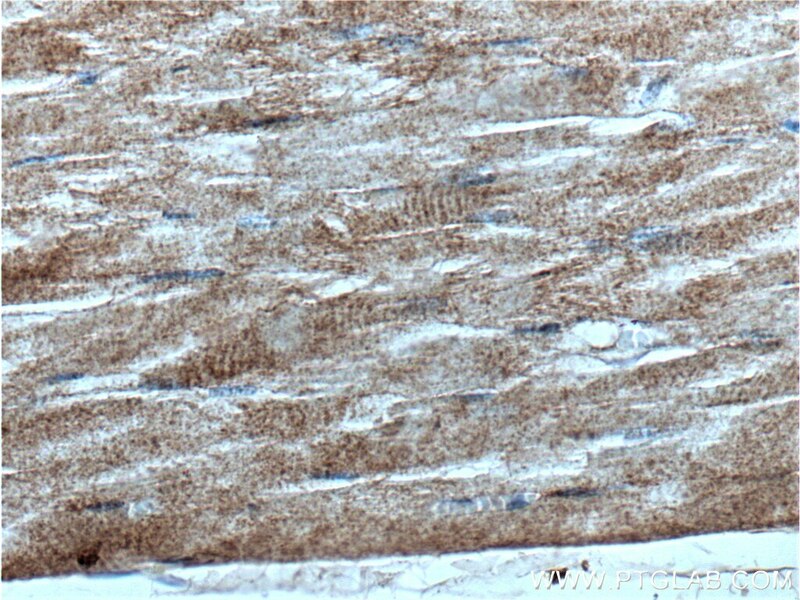 Immunohistochemical analysis of paraffin-embedded human skeletal muscle tissue slide using 17460-1-AP( IFT140 antibody) at dilution of 1:200 (under 10x lens). 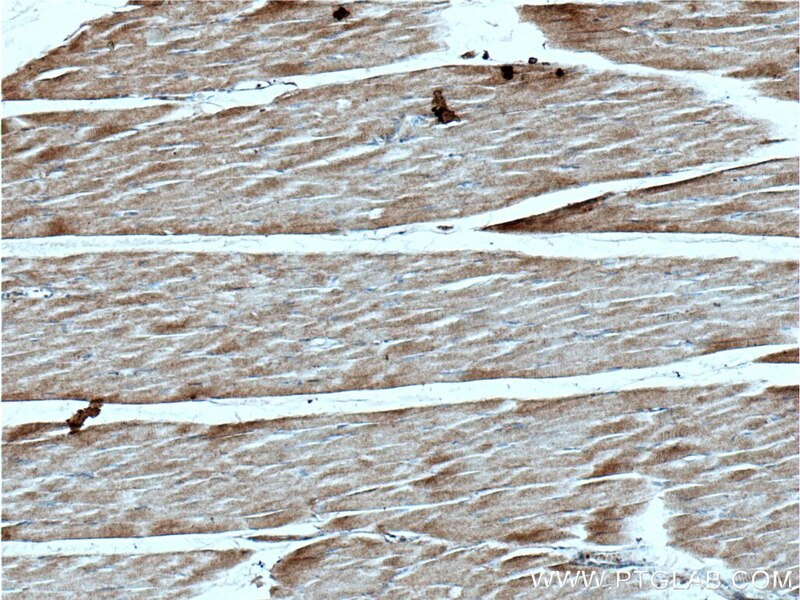 Immunohistochemical analysis of paraffin-embedded human skeletal muscle tissue slide using 17460-1-AP( IFT140 antibody) at dilution of 1:200 (under 40x lens).